A monograph on an Icelandic-American painter who reinvented Realism. 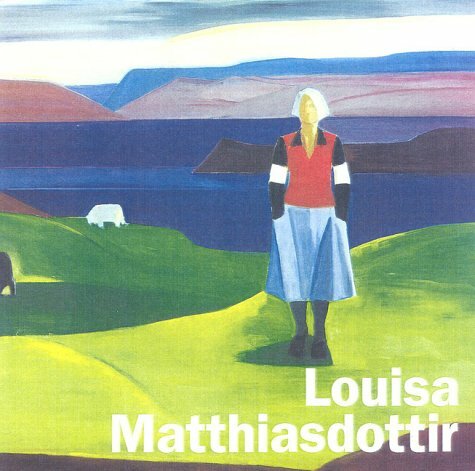 Born in Iceland in 1917, Louisa Matthiasdottir studied in Copenhagen and Paris and was a prominent member of Iceland's first avant-garde. In 1932 she went to New York to study under Hans Hoffman, a mentor whose emphasis on structure and strong colour she found congenial to her own tendencies. Matthiasdottir was one of several post-war artists in America who, despite Abstract Expressionism's universal success, persisted in the notion that abstraction and representation were not mutually exclusive states, and that one could paint from reality in a way that gave form, colour and pigment a power of their own. Thus her overriding artistic challenge was how to exploit the tension between recognizable subject matter and the pure form of Mondrian, and how to make these opposites coincide. JED PERL is art critic of the New Republic and lives in New York, as does MARTICA SAWIN, who is an art teacher and art historian.